There are so many beautiful ways to add this cheerful color into your Wedding decor. For summer, I love pairing tangerine with pink and white, for the perfect mix of sophistication and zest. 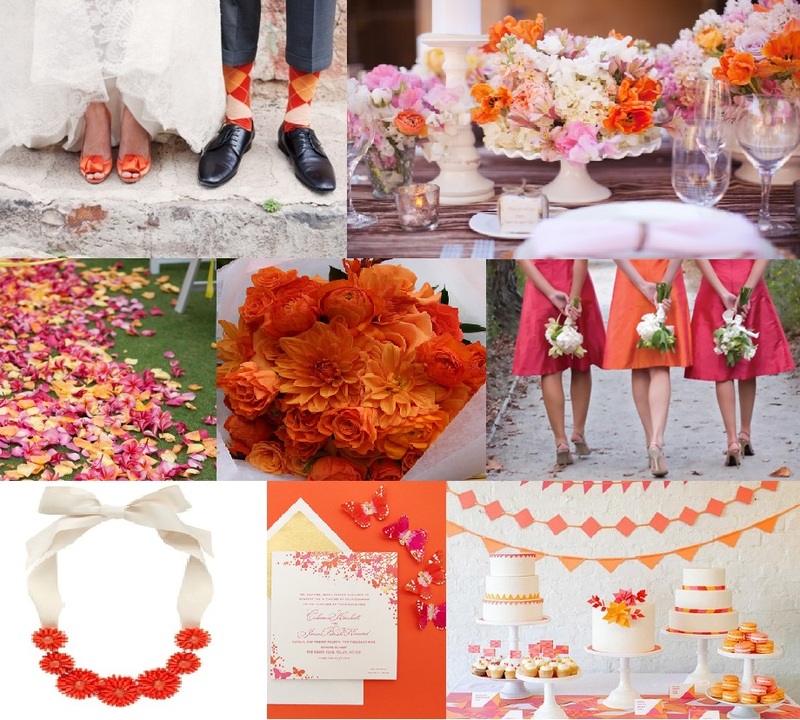 Here is an Inspiration board I created with shades of “Tangerine Tango”, bold hot pink, soft pink, and white.